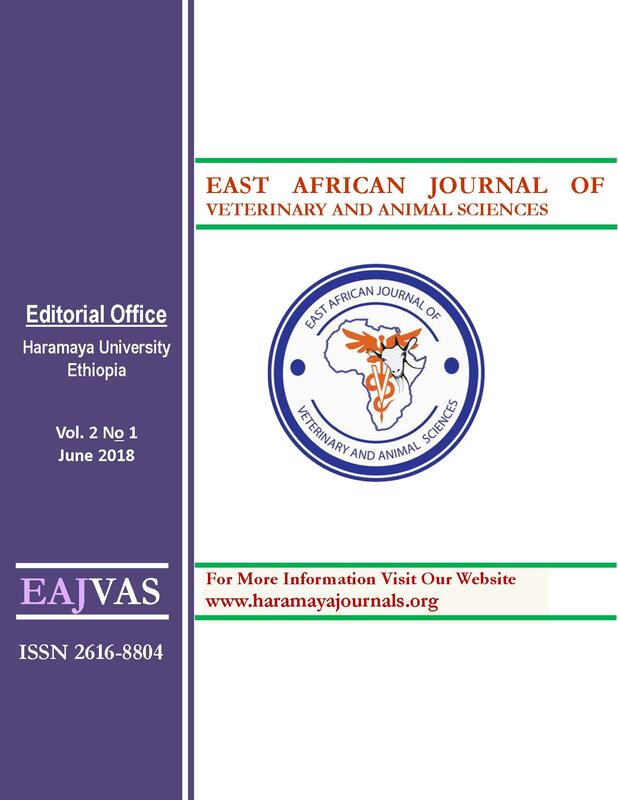 This study was conducted to assess farmers’ perception, production and utilization of improved forage (IF) under rural and peri-urban production systems of Adea-berga and Ejere districts of West Shewa and Welmera district of Oromia special Zone, central highlands of Ethiopia. A questionnaire based survey was conducted on 105 households (47 rural, 58 peri-urban) identified by purposive random sampling method. Fifteen non-users were also included to assess factors hindering IF utilization. The known commonly grown IF includes; oats, elephant grass, and vetch as reported by 95, 85 and 67% of the respondents, respectively. About 92% of the respondents produce their own IF while others either purchase or purchase and produce. About 91 % of respondents have medium and high level of perception score. Illiterateness and land holding significantly (p<0.05) predicted farmer’s IF perception. On average, the respondent reported to allocate 0.316 ha of land to cultivate forages. Respondents perceived that utilization of Desho grass is increasing while that of tree lucerne and sesbania is declining due to variation in palatability of the forages. Improved forages were fed to dairy animals as green feed, hay, residue or their combination. Farmers perceived improvement of feed intake, milk yield, utilization of roughage feeds, and reduced expense for supplementary feeds as main benefit of IF utilization. Non-IF user farmers reported that land shortage (53%), skill gap (23%), and lack of appropriate information (15%) as major limiting factors from growing IF. About 13% peri-urban and 19% rural respondents, respectively were unhappy by the IF extension service. It is concluded that farmers in the study areas have good perception on the importance of IF as dairy feed resource. However, effective extension service in terms of seed supply, training, awareness building, regular technical back-ups, and monitoring should be emphasized to ensure sustainable production and utilization of improved forage crops in the study areas.